The yellow object caught her attention out of the corner of her weary eye. End of day and one more job to do. Lot check. A few more moments and out into the twilight to make her last rounds. “Check all the vehicles, every last one, make sure they’re locked” her mind repeated like a broken record. Hand on the door, she turned instead and picked up her new friend. She felt as though it had been calling to her. “Take me with you”, it bubbled. Left over from last week’s sale, still with well-worn string, she fastened it about her wrist and disappeared into the shivering darkness. The ground crunched and the highway buzzed, and yet a holy silence pervaded. 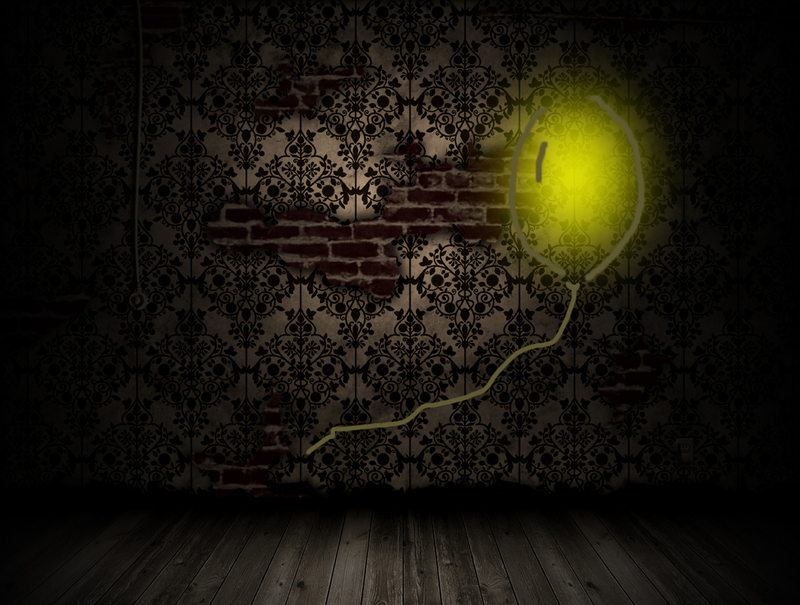 She heard him whisper, “see this yellow balloon.” She felt his presence. “I am right here with you, I am everywhere you are” he reminded. She had just returned home and taken a job to save up to leave again. Her year had been a whirl wind of mystery from the shores of Australia to the Philippines and India, to a snow laden camp in a northern forest, to a car lot in Alberta, and God was with her. She needn’t worry or question, but rest in knowing that he would never leave her or forsake her. She wondered why she had been privileged to be called in the first place, to see what she saw? She grieved. No matter how varied the cultures were – man was the same. No matter the beliefs of man, someone could always make her feel small. She paused and looked up at the night sky. The yellow balloon, as if filled with his spirit gently swept her forehead. She crunched towards the shop and pressed her face to an office window. She smiled at her co-worker inside, and wondered if they recognized who she had with her? Our Christmas holiday resembled scenes from “One Flew Over the Cuckoo’s Nest“. But just like any movie, it wasn’t all bad. When New Year‘s eve rolled around and my husband and I sat in a near empty movie theater, I found myself relieved, anticipating another great escape. I don’t completely disappear. The black walls and the aroma of imitation butter drag my senses back down in my seat now and then. It never fails, the best scenes are always littered with the assault of crinkled candy wrappers and idle chatter. Don’t the watchers know this is their chance to hear something new, to find the gift that hasn’t been given, the secret message that revives a sleepy soul? I watch her lips shape syllables and I drink in the flavor of her German accent. When the fingers of music reach through the blanket of snow where the billowing steam train winds ’round the mountain, the secret code begins. Music has always been my Narnia‘s wardrobe, a passage straight from my heart into Aslan‘s arms. I feel the uneven cobble stones beneath my feet and the brisk night air against my cheeks. I stand beside them bundled in my own filthy rags, watching our breath mingle with the smoke from the pile of burning books, another of Hitler‘s attempts to choke out our freedom. I fall in love as they fall, and long for freedom as the air raid siren howls. I stare at the stars through Jewish eyes. I hold her pen as she writes on the virgin page…”the man with the accordion heart and the woman cloaked in thunder”. Soon a thousand charred bricks explode around me, fragments of flesh and bone, a soldier’s blank face and a thousand open graves. “The Book Thief” stoops beside me, to cradle her best friend’s blonde head in her arms, and salt water springs from my heart. My eyes scoop them up and carry them to the back of my brain. I determine to keep them forever. I will not forget, their story is mine. Suddenly each brick resembles yesterday’s family headlines. Bombs don’t always drop from enemy planes. One of the bricks has her name on it, the one who can’t forgive me. Another brick belongs to the one who keeps my records of wrong. Another brick is coated in bitterness, while another is splattered with hate. I trace my finger around them imagining when we were new, first-born and unspotted by the world. I step cautiously around them and leave them behind. I step out from their frozen winter crust into his world of hope. The snowflakes fall softly, tickling my face. The secret is out, the gift has been given. The human spirit is always at war, but love never fails.